Hydration with benefits to your health! Drink ONE WATER! 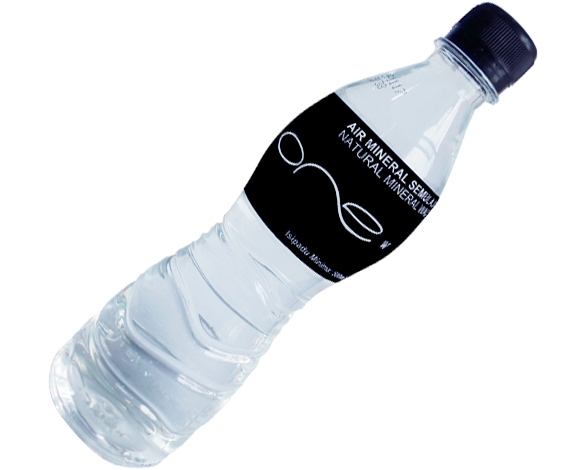 A mineral water bottled from a natural spring source. Dehydration of the brain is a leading cause of headaches. A few litres of pure, fresh water a day is an easy solution. Water ensures blood carries plenty of oxygen to organs and cells allowing all the body’s systems to function properly, promoting overall health. Toxins that aren’t flushed out, eliminate through the skin causing acne. Water is a crucial factor for clear skin. 75% of our muscles consist of water, so dehydrated muscles cause stiffness and cramping. Water lubricates joints and dissolves minerals for easy muscle absorption. Water dilutes toxins in the body helping organs eliminate waste efficiently. Clearing the bowels and kidneys promotes balance in the body. Water helps our organs to function properly. When organs are healthy and working, the body is in balance. Water begins and ends its journey in the great oceans, seas, rivers and lakes of the World. The warmth of the sun gently turns the water into billowing clouds of steam that travel through the skies until condensing and raining back to the Earth. On the high peaks of the world water freezes into glaciers of ice. On the lower lands, water seeps back into the mineral rich Earth. As rain water filters into the Earth, it is enriched with natural minerals absorbed while on its journey deep underground. Below the surface, in the depth of nature’s underground pools, water is enriched with salts and minerals turning fresh rain water into a liquid saturated in nature’s gifts. 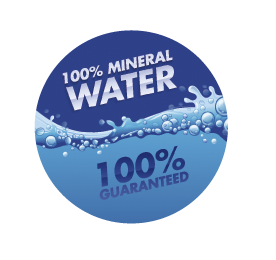 Naturally sourced water varies in the levels and types of minerals it contains. Depending on the geology of the land, water acquires a unique taste and identity measured by the trace elements and minerals in the water. Thousands of hectares of protection zones are set up around One Water catchment areas to ensure that water sources are free of pollutants and contaminants. Source protection is crucial for producers when collecting water from its original source. 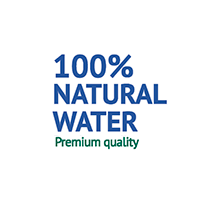 Unlike treated water or mineralized water, natural mineral water goes through minimal processing allowing it to retain most of its natural minerals absorbed from the Earth. When bottled at the source minimal treatment to remove small debris and bacteria is performed, maintaining a high level of water of purity. Malaysia’s lush climate, with temperatures between 22°-35° degrees and an average humidity of 80% all year round, provide the perfect condition for thriving forests. Months of heavy monsoon shower the country in fresh rain, which collects in rivers or natural reservoirs below the rainforest. Water that originates from these highland forests supply clean water to meet 90% of water demands in the country. Soil on the forest floor is littered with leaves and dead trees that are broken down by fungi and insects, creating a rich, nutrient-dense carpet. This is the first stage of rainwater’s filtration. With Rainforests at high elevations, water flows through hundreds of meters of Earth, absorbing rich nutrients and collecting in deep underground reservoirs where they continue to take in minerals and trace elements. Rainforests regulate water flow by sponging water into the dense Earth, preventing heavy rainfall from gushing into rivers and down slopes. Almost 60% of Malaysia forests have already been logged. But as more and more of our forests disappear, the more likely natural disasters like flash floods and landslides continue to occur. Within the Malay Peninsula, the forests found here host up to 200 types of mammals including tigers, leopards, Malayan tapirs, elephants, deer, wild board to name just a few. They also hold 6,000 types of trees and 15,000 different plant species 35% of which are found nowhere else in the world but in these dense forests. The body uses water to dissolve and transport nutrients to our cells and muscles. It helps the body flush out waste products while also regulating body temperature, lubricating our joints, aiding digestion and preventing our muscles from stiffness. Water is a key element to sustaining human life. So lack of water can result in low blood levels. When your body has too little blood, the heart needs to work extra hard to pump oxygen filled blood around the body. The harder your heart works, the harder your organs have to work depriving you of energy that may be needed in other areas often leaving you tired or fatigued. With over 100,000 miles of blood vessels running through the brain, it depends greatly on water to thin the blood and transport minerals and nutrients to its billions of neurons. A main cause of headaches is brain dehydration. That’s why the first recommendation for a headache is always to drink a litre of pure, fresh water. Drinking the wrong kinds of liquid stimulants such as caffeinated drinks, sodas and artificial beverages often fools us into thinking we are keeping hydrated. The truth is that nothing hydrates better than pure, clean natural water. The rule of thumb is for every 25kg of body mass, you should drink one litre of water. Instead of properly hydrating the body with a fresh drink of water, thirst is often mistakenly confused with hunger causing people to eat unnecessarily. Drinking water regularly throughout the day not only hydrates your body, but prevents you from snacking when what your body really needs is a refreshing glass of water. This fact has given Earth the name, ‘Little Blue Planet’. But most of the water on Earth' surface is salty, found in the seas and rivers. Only 2% of Earth’s water is fresh and ready to drink. And of that 2%, most of it is in the form of frozen glaciers. So access to clean, fresh water is a gift we often take for granted. Latest news headlines, tips and stories about Water. ...the poorly filtered and contaminated brands and avoid laying your money down. © 2013- One Water. All rights reserved.